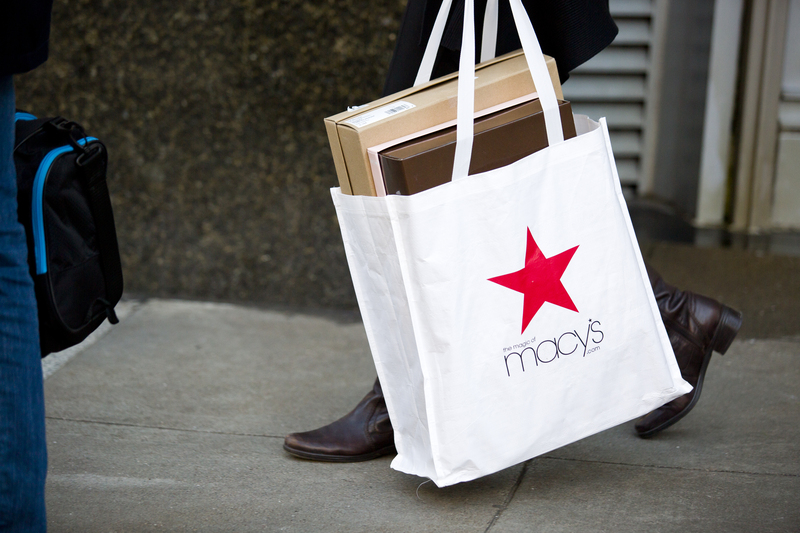 San Francisco, United States - January 5, 2017: A shopper leaves the Macy's flagship store at Union Square a day after it was announced they were closing stores and cutting jobs. Several major retailers closed stores in 2017, including Sears, JCPenney, Toys “R” Us and Macy’s. These onetime giants have closed stores all over the nation, and one of the most recent is the closure and sale of the Macy’s location at Esplanade Mall in Kenner. According to Ryan Pecot with Stirling Properties of Lafayette, who brokered the transaction, the 278,208-square-foot building sold on Dec. 15 for $1.8 million, or about $6.47 per square foot. The price per square foot is shockingly low but a closed retail building with few potential users makes an investor hedge his bet pretty significantly, hence the relatively low price on a building that would cost well over $200 per square foot to build. Macy’s closed about the same time the property was put on the market almost a year ago. 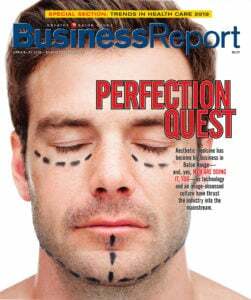 Stirling Properties marketed the property for over a year before it sold to Pacific Retail Corporation, the owners of Esplanade Mall, which wanted control of the asset to provide them more options for repositioning the mall. ELD Myrtle Grove LLC, represented by Todd Waguespack of Level Homes, has purchased 45 acres on Enterprise Boulevard in Plaquemine—next door to the new Iberville Charter Academy—with plans to develop it into a 163-lot subdivision called Myrtle Grove. Waguespack picked up the land for $16,500 per acre. The deal closed Nov. 15 and the property has already been approved for the subdivision. 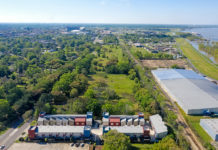 “Level is doing well with their other subdivision, Cypress Landing at The Island, and the demand for single-family homes should increase with the increase in industrial activity in Plaquemine,” says Tigue Bonneval with Audubon Real Estate Associates, who represented the purchaser as a broker. Level will offer a slightly lower priced product in Myrtle Grove, with homes in the $220,000 to $290,000 range on lots that average about 50 feet wide. 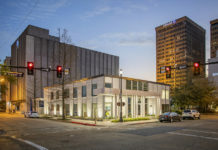 The seller, Tower Capital Corporation, was represented by Nick FaKouri, and Steve Legendre and Joey Canella with SVN | Graham, Langlois & Legendre brokered the deal on their behalf. The Amazing Grace Christian Fellowship Church—whose building in Baker was damaged beyond repair in the August 2016 flood—is getting a new home after purchasing what was formerly St. Luke’s United Methodist Church at 3791 Aletha Dr. The 8,000-square-foot facility includes a sanctuary, fellowship hall, office and several classrooms. At the time of the sale, it was gutted because of the August 2016 flood, but damage was not so severe that it could not be repaired. The church was sold for $170,000, or about $21.25 per square foot. The cost of repairs has been estimated at around $30 per square foot. The church and a parking lot occupies two lots, one of which is vacant. Repairs are scheduled to begin after the first of the year. The sale was brokered by David Palmer with Coldwell Banker Commercial One.